The Mongol army led by Genghis Khan subjugated more lands and people in twenty-?ve years than the Romans did in four hundred. In nearly every country the Mongols conquered, they brought an unprecedented rise in cultural communication, expanded trade, and a blossoming of civilization. Vastly more progressive than his European or Asian counterparts, Genghis Khan abolished torture, granted universal religious freedom, and smashed feudal systems of aristocratic privilege. 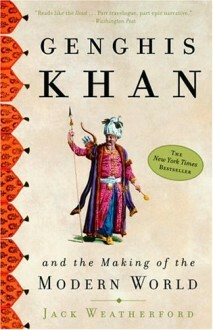 From the story of his rise through the tribal culture to the explosion of civilization that the Mongol Empire unleashed, this brilliant work of revisionist history is nothing less than the epic story of how the modern world was made.